For most UK citizens of working age, having a job is the key to a decent personal or family life. Working people also pay taxes to help fund education, the NHS and other social expenditure. However, for asylum seekers in the UK, earning a living is not an option. When they arrive in the UK, asylum seekers are not legally allowed to work. This is also the case in many other EU countries, but the jobs door stays shut tighter and longer here than elsewhere. So how do they manage? Asylum seekers can apply for support payments while their claim is being considered. At present, these stand at about £5 a day for food, clothing, toiletries, transport and any other needs. The effect is that the vast majority of UK asylum seekers live well below the poverty line. If a UK asylum seeker’s claim remains undecided after a year, he or she can apply for work – but only for skilled jobs where there is an identified national shortage. Other EU countries allow asylum seekers to work after nine months’ waiting for a decision on their claim, and 12 of them grant permission to work after six months. Germany allows asylum seekers to work after three months. Asylum seekers in other countries can also apply for a much wider range of work, including unskilled jobs. In Belgium, Latvia, Norway, Poland, Spain and Sweden, for example, they can work in any jobs. Should the UK allow asylum seekers to work sooner? All the evidence suggests that allowing migrants to work, and offering more generous welfare support, does not attract more asylum seekers. A recent review of trends in the main 19 EU countries taking asylum seekers showed that more generous policies on permission to work and access to healthcare had no significant impact on the numbers of applications they received. Based on SWVG visitors’ experience of supporting asylum seekers in our area, the vast majority of the people we befriend want to work and contribute to society, as they did back at home. Many get frustrated and depressed when they are forced to remain idle and dependent on benefits. 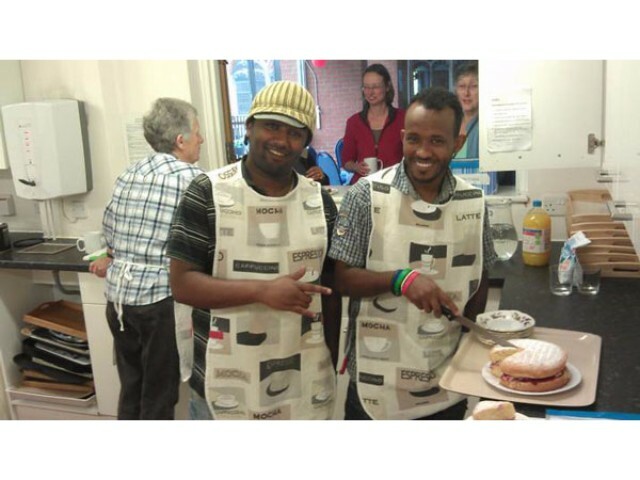 As well as providing an independent income, work is also a way for refugees who have had their lives turned upside down to get back to normal – to improve their English, acquire new skills and make new friends. 4. Avoid the negative effects of prolonged unemployment on people seeking refuge under international law.